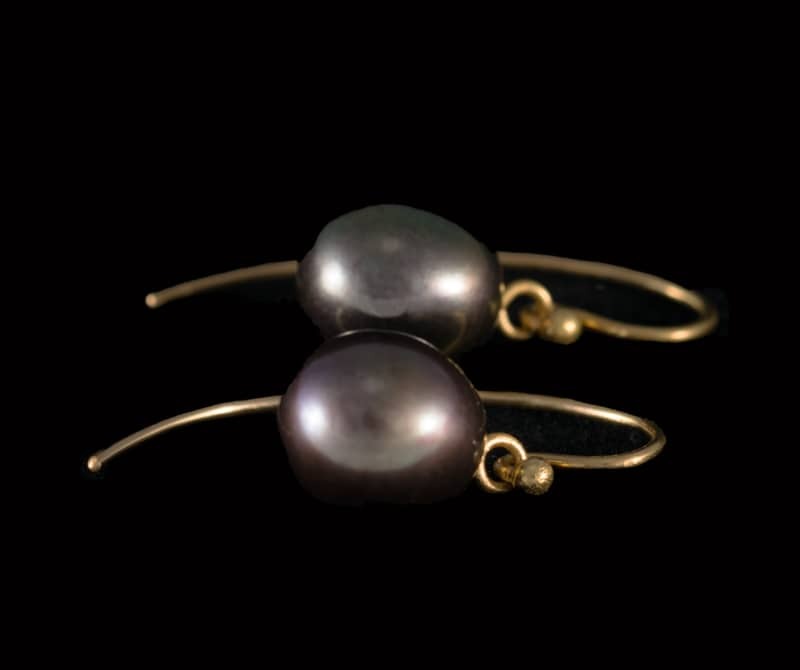 Two large, glowing black pearls have been used in these simple and elegant earrings. The pearls are drop shaped, and they are slightly different in hue; one slightly bluer, the other slightly pinker. This is the beauty of pearls – they are so unique it’s difficult to get a perfect match, especially in such an interesting and unusual shape. 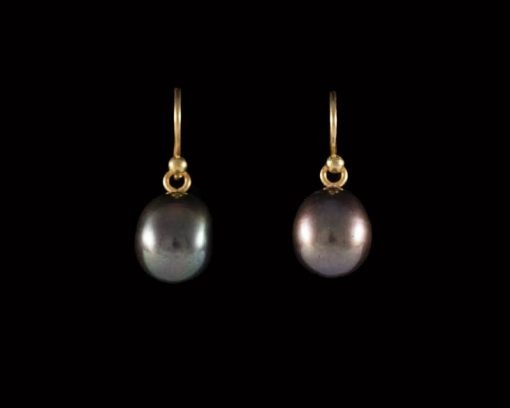 The wires on these earrings are longer than average so they hang down behind the pearl, thus becoming part of the design in themselves. The overall drop of the earrings is approximately 2cm.